Is your rent taking up a huge part of your household budget? You are not alone. According to the data from Harvard.edu, renters are using at least half of their income to pay their rent each month. This study was conducted by the Joint Center for Housing Studies at Harvard University. Their study revealed that in 2014, 11.4 million renters are using at least half of their paycheck to pay off their rent. In the same year, 21.3 million of renters spend 30% of their paycheck to cover their monthly rental fee. Experts believe, as stated in the study, that your rent or mortgage cost should only take up 30% of your income. Anything beyond that could really compromise the comfortable lifestyle that you can lead with your family. But what can you do if your rent is more than 30% of your household budget? The initial reaction is usually to trim your expenses so you can have more room in your budget. While that seems like a logical move, it is not the only option. You need to analyze your situation first so you can choose the right solution to the problem. If your rent is costing you half of your household budget, there are two assumptions that can be made about it. The first is you are spending too much in relation to your income. The second assumption is that your income is too small for the type of lifestyle that you have chosen for yourself. You want to think about the reason why your rent is eating up a huge part of your budget. The reason will help you choose the right solution to ease the burden of your rent payments. Once you have an idea on what you need to do, here are some tips that can help you strengthen your financial position. The most logical is to lower your expenses. According to a survey done by Bankrate, 23% of their respondents reveal that reducing their expenses is the first thing they would do if they need to pay for an emergency. When it comes down to it, the easiest way to meet an expense is to lower your budget for other spending categories. This is a great way to cope if your rent is eating up a huge chunk of your household budget. You can also consider paying off your multiple debts – specifically the high-interest credit accounts. If you can lower your interest rate, that can save you money. This would mean using debt consolidation makes a lot of sense. To help you lower your expenses, it literally pays to have a frugal state of mind. It will help you lower your spending without feeling too restricted or deprived. This is not about being cheap. It is about knowing what is important to you and focusing on these expenses alone. It helps you avoid spending on unnecessary things – which leads you to lower your overall monthly spending. You can also save a lot on food expenses if you choose to cook your meals from scratch instead of dining in restaurants. You can even plan your leftovers so you can brown bag them for lunch in the office. There are so many ways to downsize. You can choose to live in a smaller house. If the place is smaller, the rent will be cheaper too. Another option is to look for a place to rent in a cheaper neighborhood. As long as it will not compromise your security, it should be alright. You can save a lot of money already. You can also choose to let go of your car and opt to use the public transport. It will surely be more cost efficient to commute. If it is not possible for you to move into another house to help make ends meet, you can opt to get a roommate instead. If there is one room in the house that you are just using to stash your things, you may want to fix it up so you can have someone over to live with you. It pays to sacrifice your privacy if it means you get to free up extra cash in your household budget. You do not only split on the rent, you can also ask them to help you pay for utilities – since you are both using the same things anyway. When all of these are exhausted, you can also opt to start earning more money to help you get the cash that will help you strengthen your financial position. You can choose to work longer hours or you can set up a passive income that you can use to put more money in your pocket each month. There are other ways for you to create that extra cash in your budget so your rent will not end up being a huge chunk of your monthly expenses. While these may be helpful, these are only temporary solutions. In the end, you can really solve your rental problems by buying your own house. 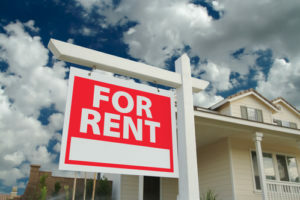 According to the article published on Time.com, the rental prices are going up so fast that it is already more practical and more affordable to just buy your own house. This is according to the data released by RealtyTrac. Of course, that would mean borrowing a huge amount of money to pay for the house. It may seem more costly but think about it for a second. When you pay your rent on a monthly basis, that amount will go to your landlord or landlady. When you borrow money from a mortgage broker and you pay it back in the next 15 to 30 years, every payment will go to the equity of your house. The more you pay, the greater the asset that you will be building for yourself because of your home’s equity. That is no doubt a better use for your monthly payments. Buying a house, no matter how stable your household budget is, would need some serious preparation. Here are important things that you need to do so you can prepare to buy a house while you are still renting. Start by working on your credit score. This is something that is necessary so you can get a low interest on your mortgage. It will allow you to negotiate the best terms on the home loan so you can minimize the money that you will pay towards your house. It is also important to give your emergency fund some attention. You have to build up 6-9 months worth of funds because this can help you with all the expenses that you need to meet as a new homeowner. Not only that, it can help secure your finances and make it more stable. You should also start saving up for a down payment because this will help increase the equity that you will own on the house upfront. It will also lower the amount that you need to borrow. If you can save a down payment that is as much as 20% of the selling price, you do not have to pay the Private Mortgage Insurance (PMI) and you do not have to pay a lot in terms of interest. Unless you have a down payment, it is advised that you postpone home buying until you have saved up money. A great trick to help make homeownership more affordable is by buying a house that can help pay for itself. Choose a house that has a basement or garage that you can convert into a small dwelling place. You can rent that out and use the profit to pay off your monthly mortgage. Here is a video from CNN, back in 2012, with a question about how you can buy a house if your rental payment is taking up a huge chunk off your paycheck. Two experts give their insight about how you can afford to save for a down payment.